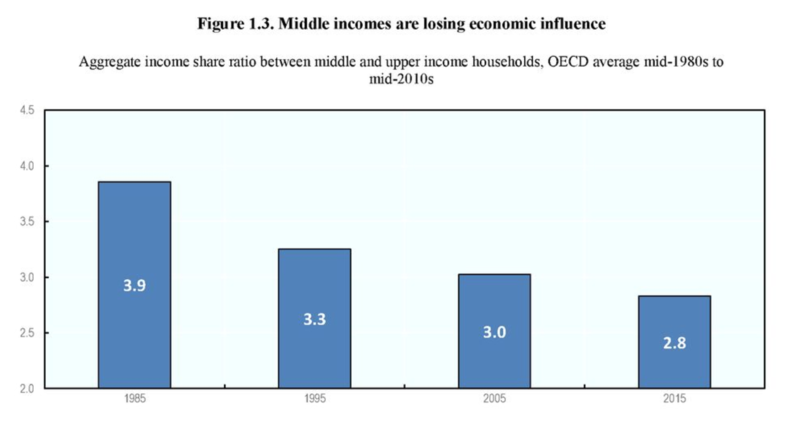 ...over the past 30 years, middle-income households have experienced dismal income growth or even stagnation in some countries. This has fueled perceptions that the current socio-economic system is unfair and that the middle class has not benefited from economic growth in proportion to its contribution. 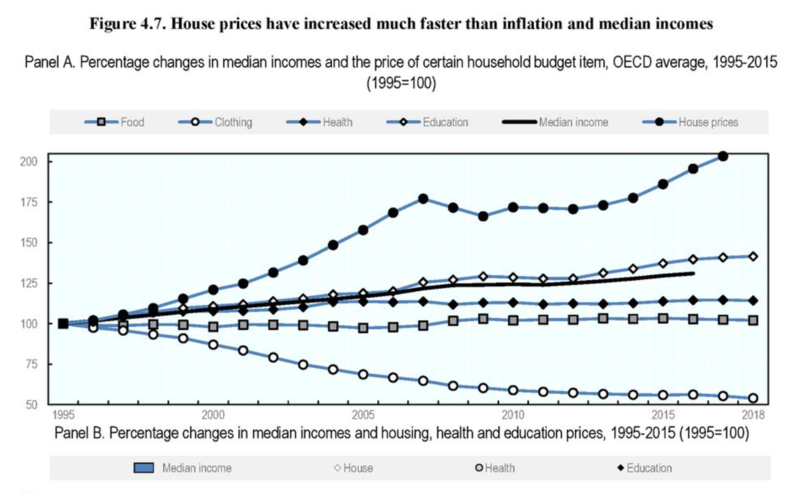 Furthermore, cost of living has become increasingly expensive for the middle class, as the cost of core services and goods such as housing have risen faster than income. Traditional middle-class opportunities for social mobility have also withered as labor market prospects become increasingly uncertain...Uncertain of their own prospects, the middle class are also concerned about those of their children; the current generation is the most educated, and yet has lower chances of achieving the same standard of living as their parents. This report documents these trends in detail. 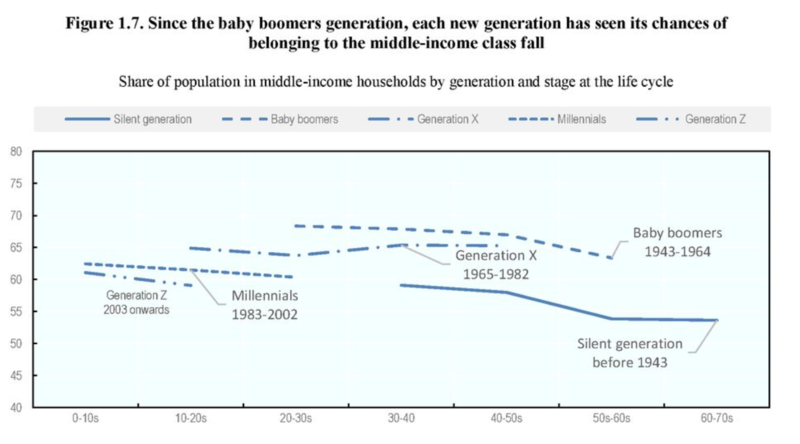 It shows that every generation since the baby boom has seen the middle income group shrink and its economic influence weaken. 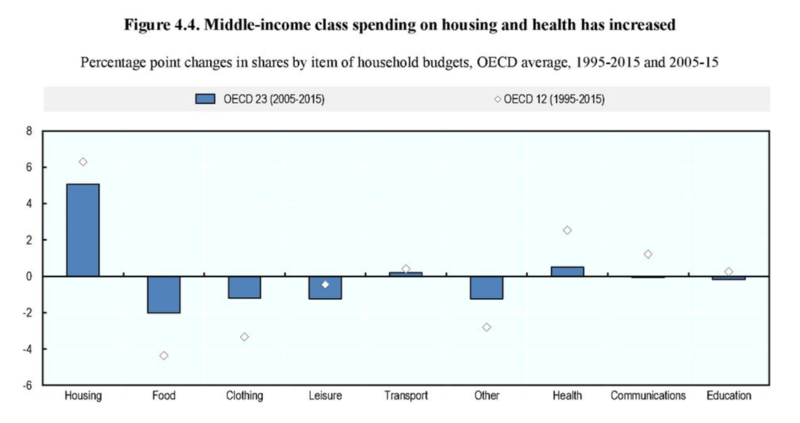 Three decades ago, the aggregate income from all middle income households was four times larger than the aggregate income of upper income households; today the ratio is less than three. 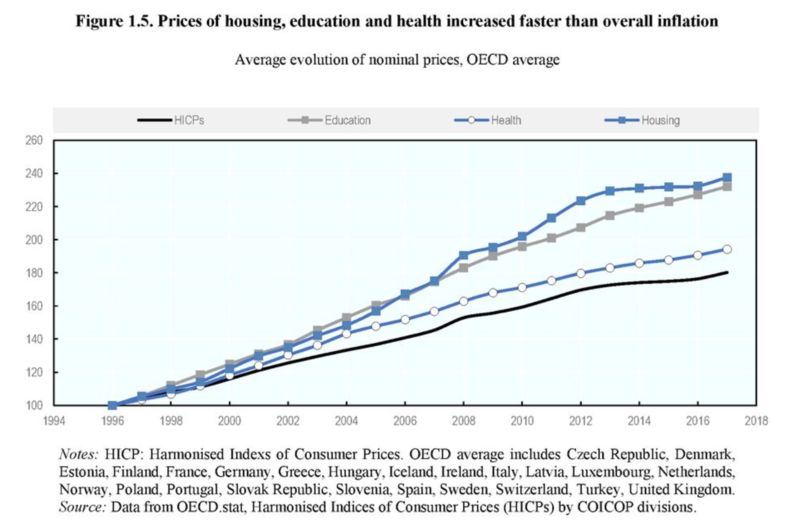 Credit Suisse Middle Class USA - Still #1?